Releasing Saturday, June 15th. In-store and online. Our Summer D1 & D2 release which we previewed yesterday is right around the corner, but before we drop the official Summer line, we’ll be releasing our Pre-Summer 13ʻ capsule collection tomorrow at 11 AM HST. 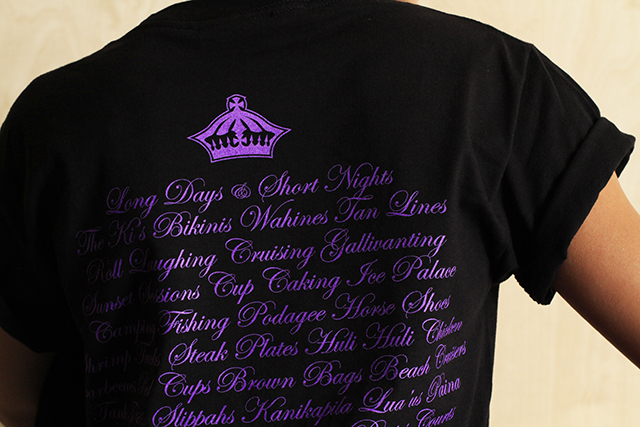 The capsule consists of a wide variety of womens tees, raglans and tanks. 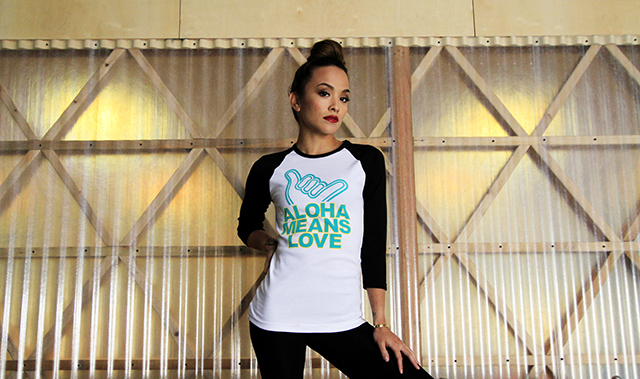 Nine to be exact, with some very familiar graphics, including our “Glassy” design (featured in a tee, racerback tank and raglan), “Native” (racerback tank and tee), “Aloha Means Love” which is a brand new design (racerback tank, tee and raglan), “Aloha Summer” and “Aloha Means Hello & Goodbye.” Please note, all racerback tanks and tees are made of 50% combed cotton and 50% polyester, while the women’s raglan tees are 100% combed cotton. 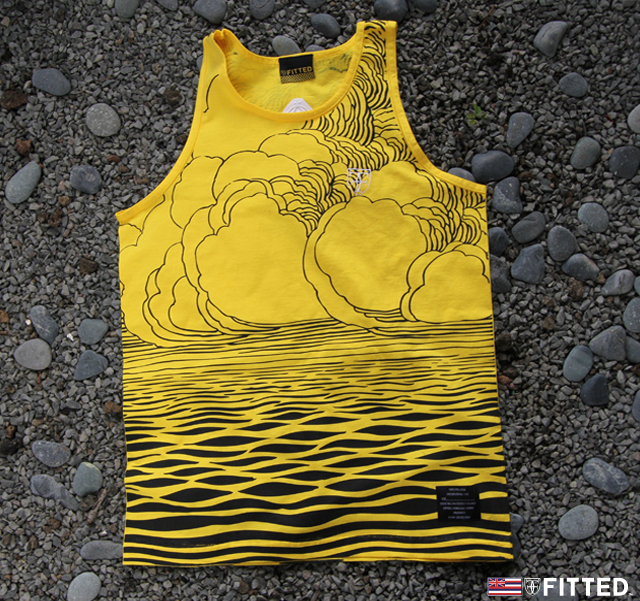 Available this Saturday, in-store (FITTED), online with select items being offered at Blue Hawaii Surf. Thank God the trade winds are back, right? At least for now. Hopefully the weather we experienced in Spring is not an indication of what Summer will be bringing us. 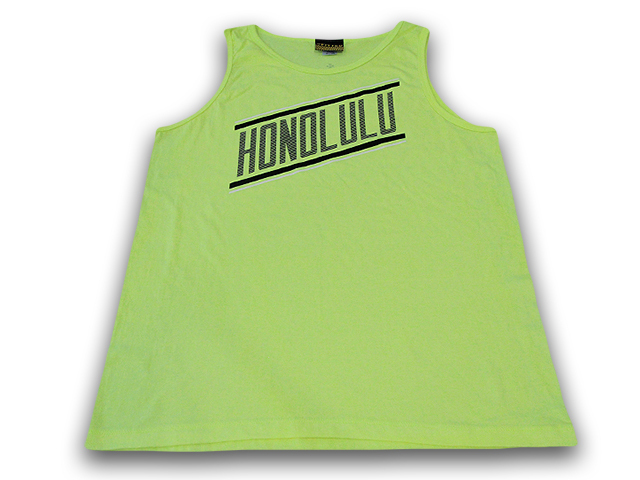 Either way, we got you covered for Summer with a fresh new tank top (“City Lights”) which features Honolulu on the front which gives it a metropolitan ambience. Also dropping is a fan favorite, our “Aeron” tee which is a nod to Herman Miller’s chair of the same name, featuring the clean lines as seen on the iconic ergonomic chair. Available for sale tomorrow. 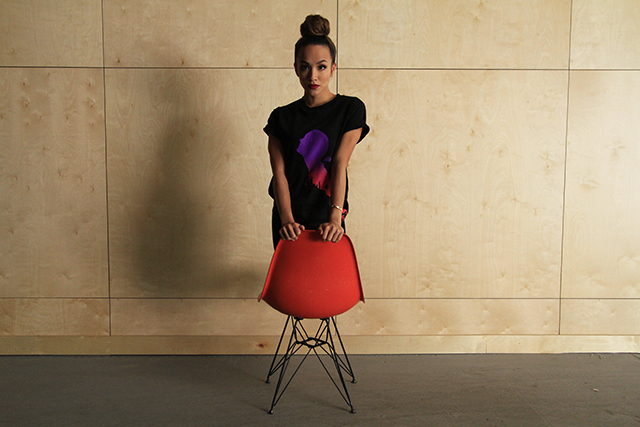 PLEASE NOTE: Black Pow Wow x MEGS tee is an ONLINE EXCLUSIVE! 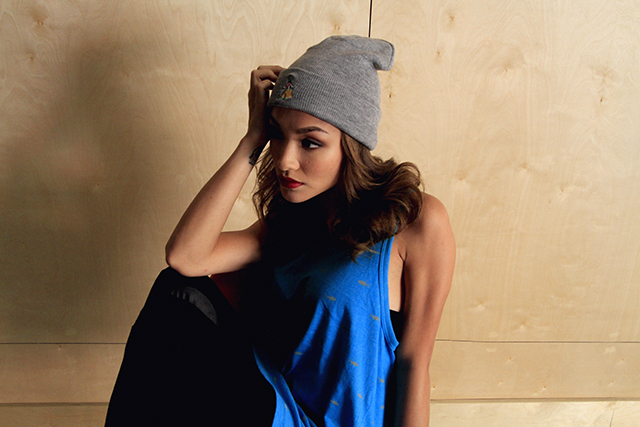 Pow Wow Snapbacks will be available online and in-store. All other product will be available in-store! For those who may have missed out on it the first time around, weʻll be releasing a very limited edition run of the Pow Wow x FITTED pack tomorrow morning at 11 AM. 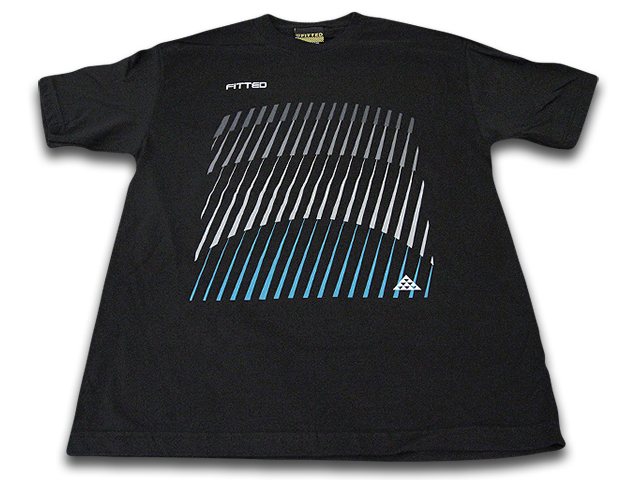 We cannot stress enough how limited these are! 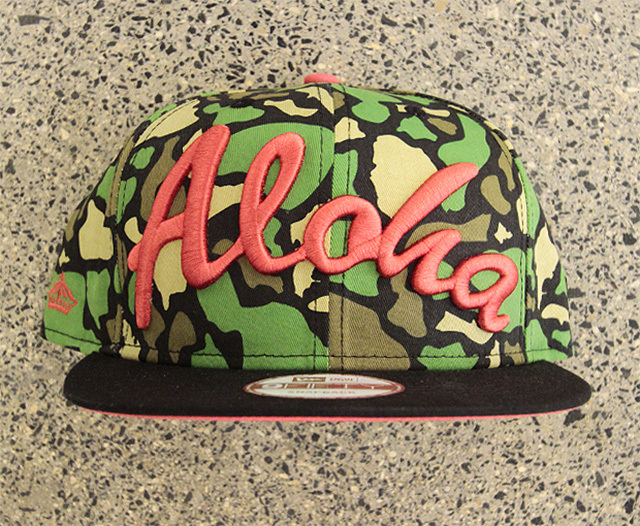 Included in this pack are our special Aloha Pow Wow snapback which features our FITTED island camo pattern in green and black with pink Aloha stitching, button, New Era hits and Pow Wow stitching on the back; available IN-STORE AND ONLINE. The black FITTED x MEGS x Pow Wow tee is an ONLINE EXCLUSIVE as we mentioned up top, while the Aloha island camo tee (white) and Aloha island camo tank (black) will be in-store only. See you all tomorrow! 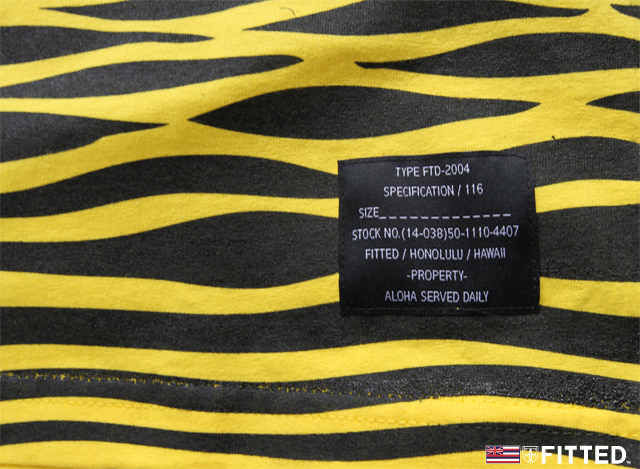 We gave you a brief history on the importance of Kahekili in our last post / release (we still have sizes left btw). 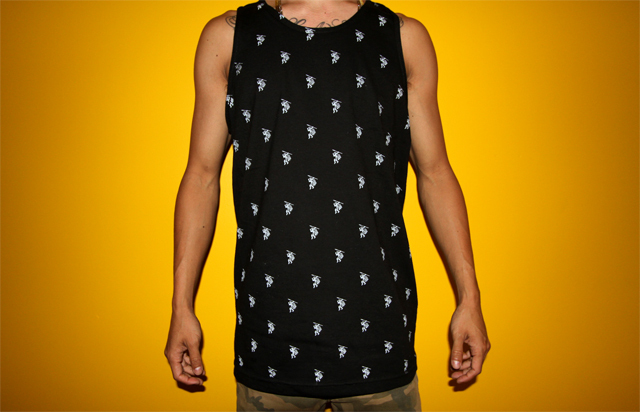 Saturday we’ll be releasing our Kahekili tank top: all black with white all over print of Kahekili’s character and an orange crown hit on the back. Quick update for Saturday’s release: New colorway in our Portlock tanktop: white with navy blue print and red crest on the front and crown on the back. Black authentic FITTED tag on the bottom left. To coincide with this release, we have two snapbacks: a purple Kamehameha snapback with white Kamehameha stitching, snap and New Era logo and tonal crest. 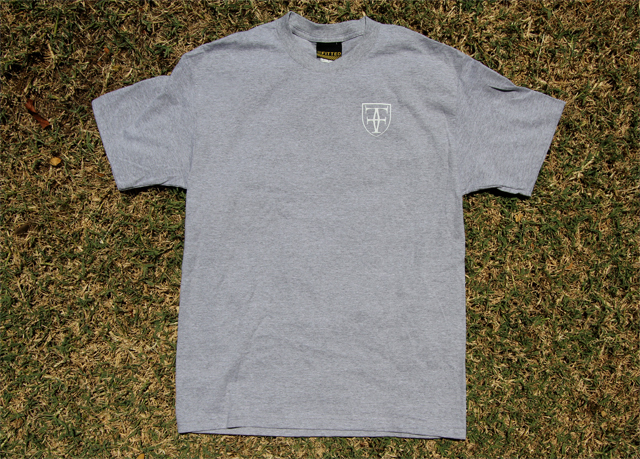 Our new ‘H’ Pride is light navy blue with white ‘H’, New Era, crest and snap. Update for Saturday’s release: New colors in our Aloha Served Daily snapback: all teal upper with black brim and white stitching on crown, New Era and shaka hit (sits above the snap). White snap and green & white FITTED tag, black brim, green underbrim. 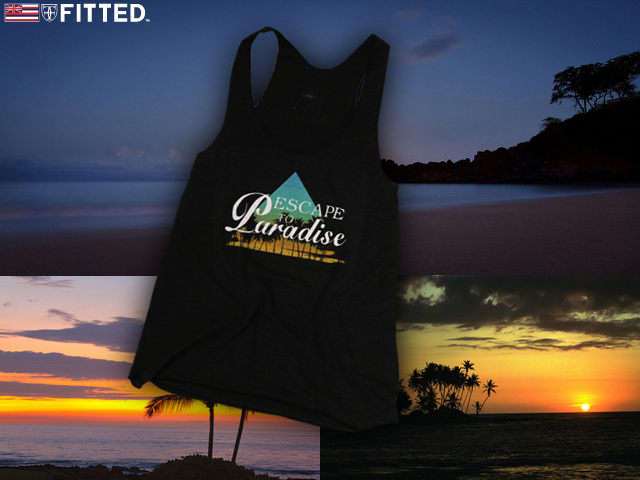 We’re also release a black as well as red Alakai tank top, a new Escape to Paradise mens tee and a womens Escape to Paradise tanktop, which utilizes a racerback style tank. Little info on Saturday’s release: We created an ‘H’ Pride New Era with all white upper, black brim, black ‘H’, New Era and crest hit with purple under brim to perfectly match the recently released Concords (J11). 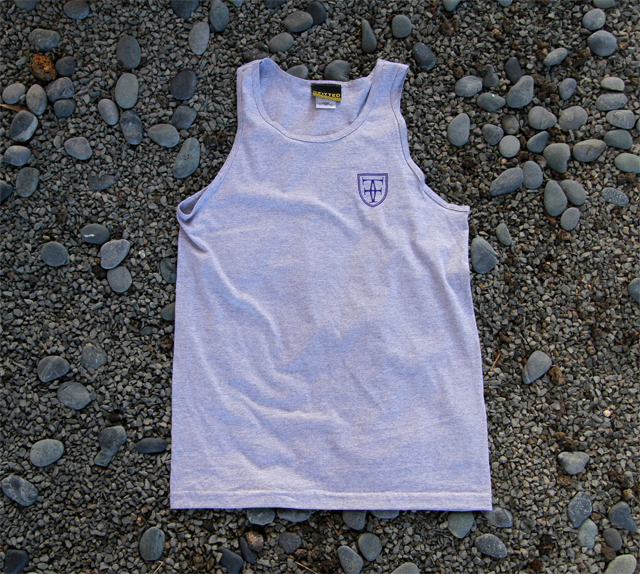 On top of that, we got you covered with yet another tanktop for the summer: a grey Mua tank with matching purple Mua logo on the back and purple crest on the front. Clean! Summertime, in the city! Weather’s been super beautiful, even with the high wind gusts. 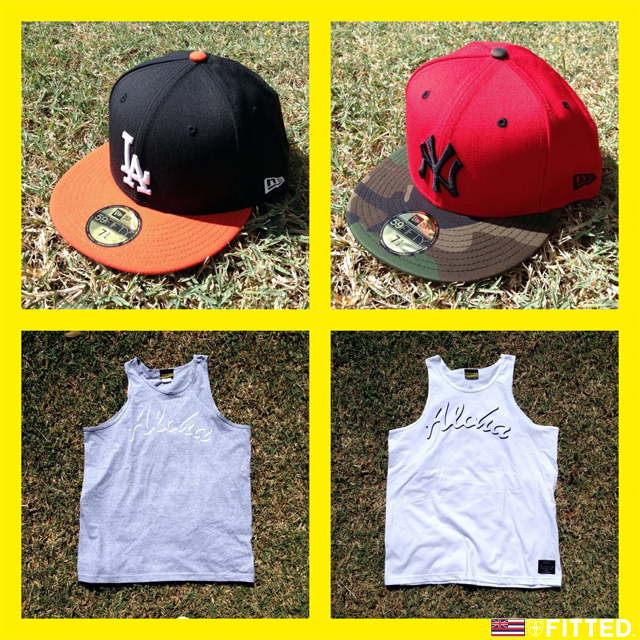 So why not scoop you up some official FITTED summer gear? 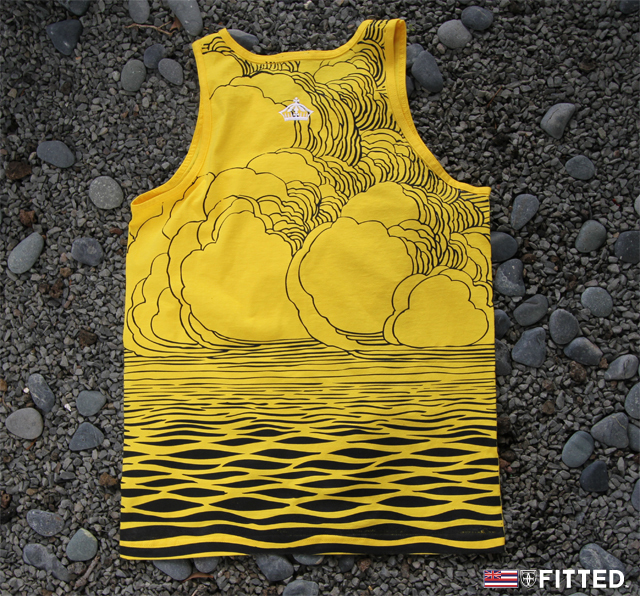 We’re releasing a new tank, Portlock: All yellow with white embroidered crest and crown, and black print of the foreground of the Pacific Ocean with sparse clouds looming overhead. We hope you had an enjoyable and safe Memorial Day weekend. Back to our regular schedule. New release for today, two new MLB New Eras: NY Yankees with red upper, woodland camouflage brim, black Yankees logo and LA Dodgers with black upper, orange brim and white LA logo. 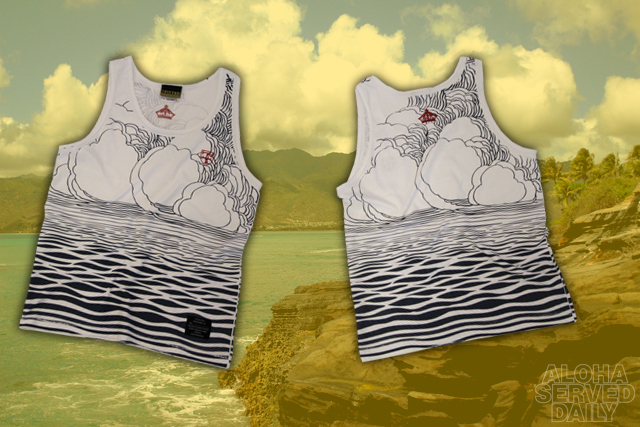 We’re also releasing two new tanks for the summer: Aloha tanks, white with black Aloha stroke and black label on the bottom left, as well as an all gray tank with white Aloha stroke. 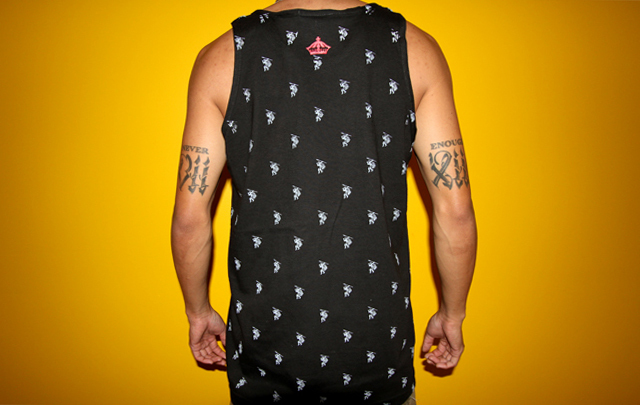 Crowns on the back of both tanks. Saturday release coming up in a couple of days. 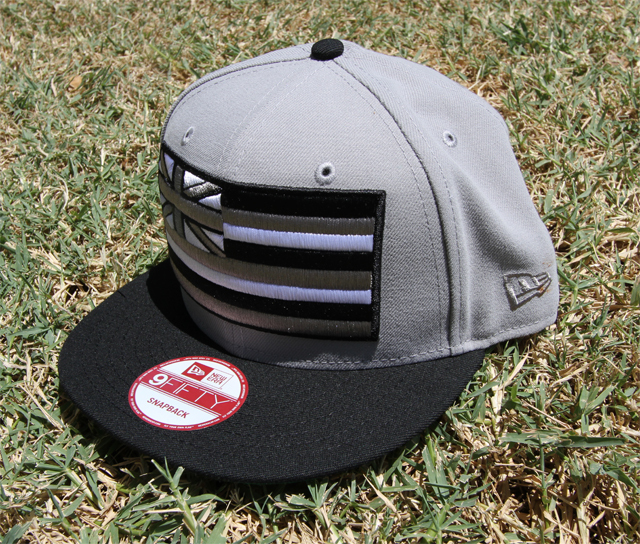 First up, gray Slaps Wind New Era Snapback with black, gray and white Slaps Wind logo, black brim and black snap. 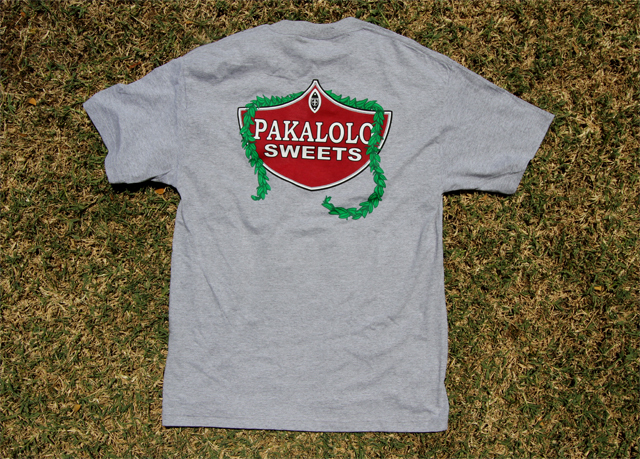 Coinciding with this is a new tee: Pakalolo Sweets with FITTED crest in white on front left chest, Pakalolo Sweets graphic on back in red with a green maile leaf lei draped over it.